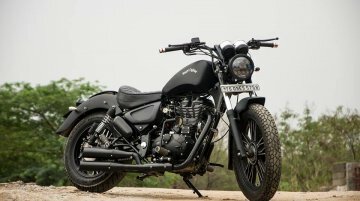 Hyderabad-based Eimor Customs took a 2013 Royal Enfield Desert Storm 500 motorcycle and gave it a complete makeover. 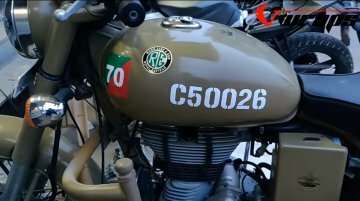 The transformation was created around the customer’s requirement of having a more a..
All the 250 units of the Royal Enfield Classic 500 Pegasus reserved for the Indian market were sold in merely 178 seconds during the 'flash sale' organised by the two-wheeler brand. 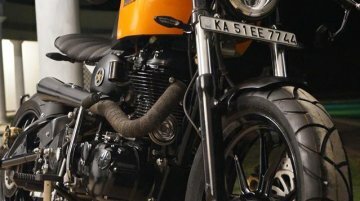 The production of..
Royal Enfields provide a versatile platform for customising and the Indian custom motorcycling scene is a true testament to this fact. 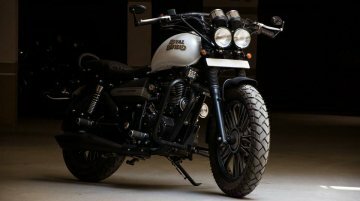 One of the fine examples is 'Indori' from Chennai-based KR..
Royal Enfield Thunderbird 500 Black Magic gets a LED headlamp. 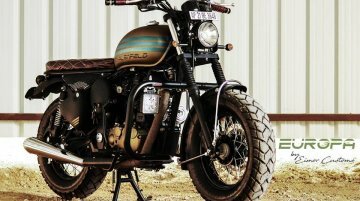 Hyderabad-based Eimor Customs has modified a Royal Enfield Thunderbird 500. 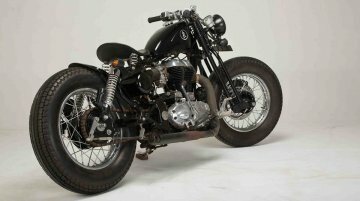 Called the Black Magic, the bike gets new front and rear m..
Royal Enfield Thundercat by Bulleteer Customs café racer gets Michelin tyres. 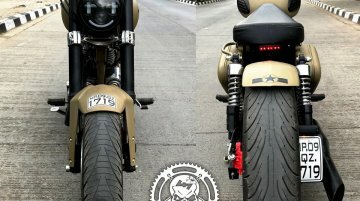 Bulleteer Customs have modified a Royal Enfield Thunderbird 500 as a café racer. 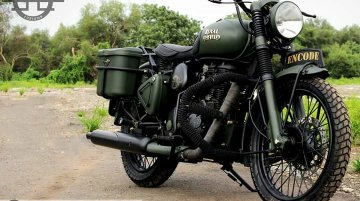 The motorcycle however also has..
Haldankar Customs, a Mumbai based motorcycle customiser, has modified a Royal Enfield Bullet 350 in Battle Green shade. 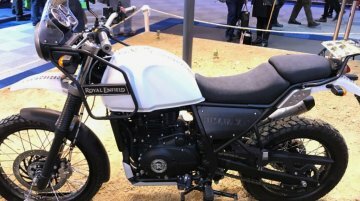 The company retails the Royal Enfield Classic 500 in Battle Green but only in..
Royal Enfield showcased the Euro4 and ABS version of the Royal Enfield Himalayan at EICMA 2016. 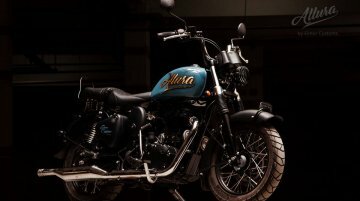 Royal Enfield has introduced the 2017 Royal Enfield Classic 500, 2017 Royal Enfield Bullet 500, 2017..
Hyderabad-based Eimor Customs has modified a Royal Enfield Thunderbird 500 into a Japanese-style hot-rod bobber with an amalgamation of café racer ergonomics. 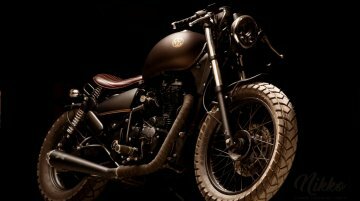 The motorcycle is christened 'Nikko',..
Royal Enfield exports only the 500 cc variant of the Royal Enfield Classic. 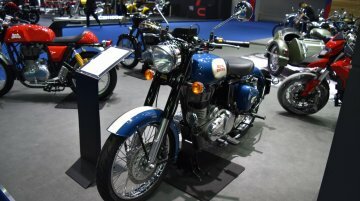 The Royal Enfield Classic 500 in the 'Lagoon' paint scheme has been showcased at the Bangkok International Motor Show..